Biography in brief, reader reactions past and present, some words on The Project and people involved. News/blog, site map, her silent film, editions in print, reviews past and present, photos/artwork from admirers, more. Support the Project by buying the authoritative Petrarca Press editions of works by and about Mary MacLane. Our blog, F/book, Twitter, Tumblr, Insta., etc. plus email contact for those with questions or information on Mary MacLane. With her astonishing debut book, I Await the Devil's Coming - written in 1901 at the age of 19 - she attained a spectacular media and literary fame resonating even today. 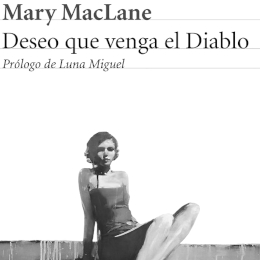 With recent French, Spanish, and Danish translations (with Norwegian and Italian in process), readers the world over are discovering Mary MacLane. She is hailed in hundreds of posts on Twitter and Tumblr and Instagram, award-winning writers quote her, songs have been written about her, film historians discuss her final work - the revolutionary silent film Men Who Have Made Love to Me (1918) - the first to unite writer, star, and narrator and first to break the fourth wall ... but the story of her private life and the majority of her striking creative work have remained unknown to the reading public. We are a group of literary researchers working to recover, organize, and transmit the full extent of Mary MacLane's unique work, life, and cultural world via this website and a series of books both published and forthcoming. The project is headed by Michael R. Brown, publisher of the first MacLane anthology, Tender Darkness: A Mary MacLane Anthology (1993), and editor/publisher of the most comprehensive collection of her work, Human Days: A Mary MacLane Reader (2011), and Philip Lipson, a historical/genealogical researcher who made such major discoveries as MacLane's earliest writing, her private letters, and more. The Project is entirely self-funded - thank you for your support in buying our books! Anyone with questions on MacLane or with information they wish to share is invited to contact The Project. Readers who discover Mary MacLane want to know more, and several comprehensive volumes are in process about her life, work, cultural milieu, and the reactions to her up to the present day. 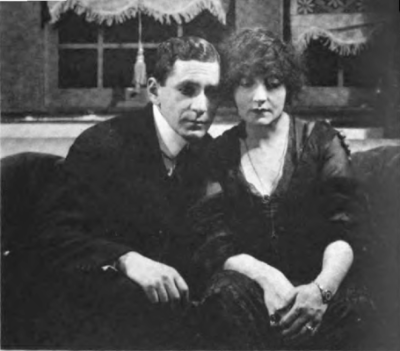 Click here for a detailed site map including links to the first picture galleries ever of MacLane, her silent movie, people and places in her life, and her books. This website will be the online center for all things Mary, answer questions readers are asking, and provide regularly updated news and exclusive content. In a recent interview, Michael R. Brown said: "I first discovered her as a kid in 1985. After finding a few striking pages from I Await the Devil's Coming in an old psychology paperback, I craved the book entire but there was nothing in print. After finding some newspaper features she’d written, I wanted to know everything - and to bring her completely back into print. That first encounter was like putting one's fingers into an electrical socket: that shocking personality communicated itself all at once. Since then her work's been a life’s companion, but even that's only a beginning: the public writing, then her private letters, then interviews (which are astonishingly creative), then her private life, then the intense public sensations and reactions to the present day – all form a gigantic artwork waiting to be assembled. That's a major reason for the multiple volumes now in process - a biography/literary-cultural study and a 1000-plus page collection of the public reactions to her from 1902 to today: the artwork Mary MacLane created out of herself and left for the outside world has to be recovered." This website will provide stable hosting for the primary materials for these books and other scholarly work. 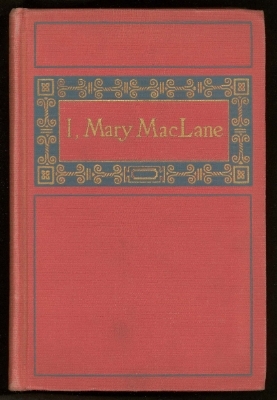 MacLane wrote three full-length books - the sensational I Await the Devil's Coming (issued in 1902 as The Story of Mary MacLane), the quiet and elliptical My Friend Annabel Lee (1903), and the deeply revealing I, Mary MacLane: A Diary of Human Days (1917). She also authored several dozen newspaper feature articles, over one hundred personal letters, and a lost silent film. Her numerous newspaper interviews were artistic performances themselves - here is her best, from 1902 with Pulitzer-prize winning author Zona Gale. Michael R. Brown's Petrarca Press has been publishing authoritative critical editions of MacLane's works and works by other authors about her in paper and electronic forms complete with detailed introductions and textual notes. MacLane has inspired intense reactions from 1902 through today. A fascinating aspect of her is that the intensity has not lessened in an age better equipped to appreciate her. The Project is engaged in collecting reader as well as press, critical, and academic reactions to her in all eras - at the Reactions landing page, click on the type of response you're interested in, and read what others have said. 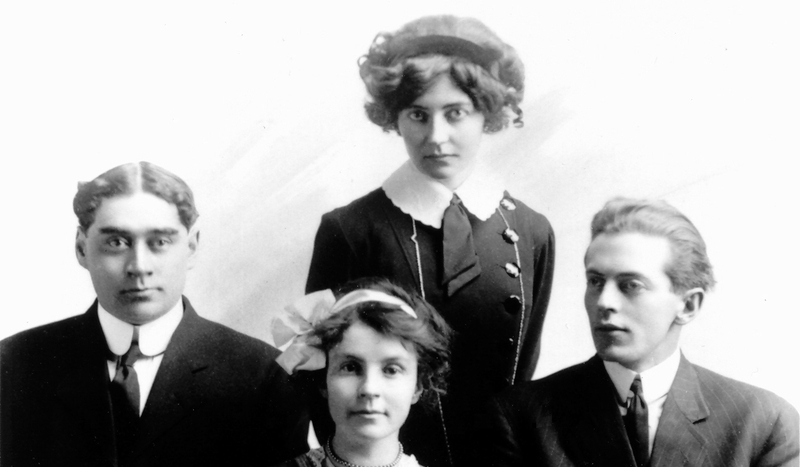 Mary Elizabeth MacLane was born on May 2, 1881 in Winnipeg, the youngest daughter of frontier pioneer and entrepreneur James W. MacLane (1833-1889) and Margaret Lowe (1854-1939), daughter of a founder of one of Western Canada's earliest colleges. 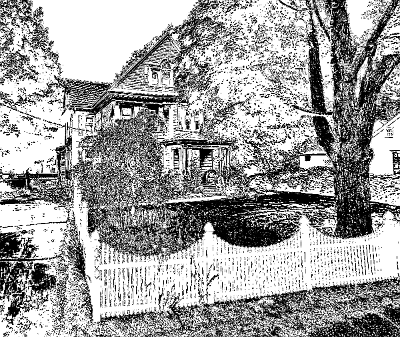 Escaping the Second Riel Rebellion, the family removed to Fergus Falls, Minnesota in 1885, where her father built a notable brick residence with substantial gardens, platted one of the early additions to the town - to this day known as "McLane's [sic.] Addition" - and watched over his business interests. After his death in 1889 from an illness contracted on a cattle-inspection trip to Montana, the next year Margaret married H. Gysbert Klenze (1864-1924), a former frontier photographer (whose pieces command high prices to this day) who had been involved in settling the estate. Mary's tomboy life in the hills and lakes of Minnesota ended in 1890, when Klenze moved his new family to Montana and began brokering and speculating in mine properties. After several years in Great Falls, the family moved to the singular, booming metropolis of Butte, where Mary's literary style and fame would be founded. She had begun to write in Great Falls in the mid-1890s, and in Butte quickly became editor of the high school newspaper. Her earliest surviving pieces date from her tenure on the paper and show that her style was fully-developed by age 17. Upon graduating in 1899 with a brilliant oration on Charles Dickens published with several others' in Butte papers, she prepared to go to Stanford University with her older sister, who had delayed enrolling for a few years so that they could attend together. Shortly before their departure date, however, their stepfather informed them that not enough remained of James' fortune to pay tuition. Their elder brother had found a path in athletics and military service and would shortly go adventuring in the Klondike, but the young womens' prospects - including the patrimony from their father - were suddenly dim. Exactly what Mary did for the year and a half after this shock is unknown (though at one point she applied to work at the Butte library but was rejected due to her unconventional application essays), but by mid-January 1901 she had begun her first book - the fiery, individualistic, multiply-persona'd I Await the Devil's Coming (published the next year as The Story of Mary MacLane). 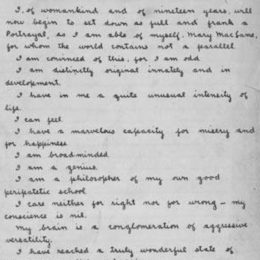 In three months' dated entries, ostensibly in the form of an irregularly-kept journal, she crafted an unforgettable portrayal of the world around her, her disdainful superiority to it all, her surges of joy and crushing moments of despair, her craving to be loved - particularly by her female high-school literature teacher, Fannie Corbin - in a sharp, high-voltage writing style wholly her own. In early 1902 she sent the immaculately handwritten manuscript to - for reasons unknown - a prominent religious publisher in Chicago. George H. Doran, an editor and soon to become a famous publisher, recognized that "the most astounding and revealing piece of realism I had ever read" was as unsuitable for his employers as it would be perfect for the progressive publishers across the street: the highly-regarded Herbert S. Stone & Co. The manuscript was passed on to their editor Lucy Monroe, who three years earlier had been instrumental in their issuing Kate Chopin's controversial novel The Awakening. She brought the manuscript home, and - according to national news a few weeks later - finished it overnight and the next morning told her employers they had another sensation on their hands, eliciting a telegram of acceptance that afternoon, a rapid book production job, and in late April 1902 a flood of volumes out to critics and - crucially - extensive excerpts of the Montanan's unique writing to major newspapers and wire services as news. The sensation began almost immediately and reached proportions nearly impossible to credit. Reporters from other states began traveling to Butte to attempt, sometimes fruitlessly, to interview MacLane; in short order, headlines nationwide referred simply to "Mary" - and everyone knew who was meant; any outbreak of rebelliousness or eccentricity in young females was dubbed "MacLaneism"; Butte's baseball team renamed themselves "The Mary MacLanes"; prize steers and thoroughbred horses were named after her as were cigars, ice-cream drinks, and a brand of tabasco pepper sauce. Writers in London and Paris reported on the sensation, and before long the book was being discussed as far away as Australia and New Zealand. For her part, Mary maintained a public persona of sharp, pointed coolness and proto-Surreal elliptical egoism as news reports tallied the young writer's growing fortune. The fame she had desired was hers, but it was not without dangers. In July 1902, informed of a kidnapping plot foiled by police, she moved out of Butte on an eastbound voyage the national news covered as if a royal procession. Her first major stop, in Chicago, was a life-altering event, for there she met her Stone & Co. editor Lucy Monroe and Lucy's sister, Harriet. 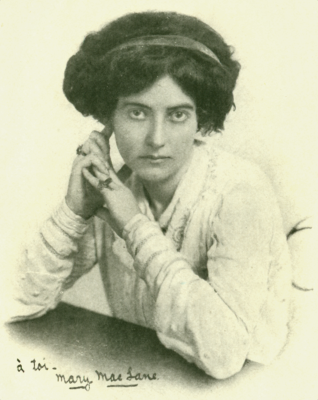 Mary and her editor, who in 1910 would move to Beijing with her ambassador husband, would remain friendly for several years, but Harriet - who had written the famed Columbian Ode in 1893 and would go on to found Poetry Magazine in 1912 to foster authentically American modern poetry - would become one of Mary's greatest unrequited loves; they would remain in on-and-off touch for the rest of MacLane's life. Mary's departure from Chicago sparked further news coverage, and upon word of her decision to bypass New York City the Board of Aldermen discussed a resolution urging her to come to Manhattan, observe it, and address them. The newspaper titans did them one better, and the New York World made MacLane an offer she could not refuse; she committed to come, stay, and write for several weeks. She first went to her original destination - Cambridge, Massachusetts, where Fannie Corbin was furthering her education. After several days, MacLane admitted a few reporters and gave interviews. The best press encounter of her career - largely because of a sympathetic yet critical interrogator - was a lengthy conversation with Zona Gale of the New York World. Gale lavished care on the piece, communicating (and preserving for later days) the striking aura of the young author's presence, and its quality proved professionally important for the future prize-winning dramatist. MacLane, for her part, telegraphed her publishers that she had fallen in love with Miss Gale, warning at the end: "Beware Mary MacLane in love." In time, MacLane departed for Manhattan - it is not known if she and Corbin ever met again - and she began work for Pulitzer's World with a series of chaperoned visits to Wall Street, Coney Island, a society wedding in Newport, and other places of interest. Her resulting feature articles were announced with enormous fanfare, and when they appeared - complete with photos of the enigmatic writer and samples of her handwriting, and a style that, like parts of I Await the Devil's Coming, was pure proto-Surrealism - the newspaper reported unprecedented mail for months afterward from all over and beyond the United States. MacLane had chafed at chaperonage, and at the end of her longest article - a set of vignettes of her time in New York - she introduced something new to her public persona: a magnetic lure of the dark things of the big city, and the suspicion that she might well go off and into them. In fact, MacLane departed from the still-burning media uproar as soon as her stint with the World was done and took up residence in a somewhat remote hotel on the Massachusetts coast. It would not be the first time that she vanished from public sight, nor the last time readers and press would wonder where she had gone. She agreed with Stone & Co. that a new book was needed, largely to capitalize on the sensation, and she set to work at it that autumn. She reported many months later that work was going slowly - "I work at it not like a genius inspired - but rather like a beaver building a mud-dam" - and cautioned that her writing when rushed could be very bad indeed. Stone & Co. waited impatiently for the manuscript, and they bravely rushed My Friend Annabel Lee into print in July 1903. The critics and public were, by and large, puzzled. Rather than another volume of armored Amazonian individualism, it was an entirely different animal (though as sui generis as I Await the Devil's Coming had been). Composed mainly of the dialogues and monologues of two fictional characters, one a porcelain figurine of a Japanese lady named Annabel Lee, who speaks in an oft-cutting and gnomic fashion, the other a passive and credulous person named "Mary MacLane" (who at most was one fragment of the author's variegated personality), the book - surely deliberately - frustrated all attempts to pigeonhole it. Quiet throughout, retiring in tone but with a more consistent proto-Surreality, the volume of twenty-five chapters resists analysis. From tales of MacLane's high school years and an account of a visit to Montreal to a story of spoonbills who learn at the last moment the meaning of life, the book gave a skeptical press and a bemused public no hooks to hang a label on. Though sales were respectable (if nothing like her debut book), the press called it a disappointment. One wonders if MacLane, with her conflicted relationship to her own fame, had wanted it that way. Her personal life, however, showed no signs of conventionality. In a passage cut from I Await the Devil's Coming she had enthused about the books of New England writer Maria Louise Pool, not knowing that Pool had died two years earlier or that Stone & Co. had been her publisher. 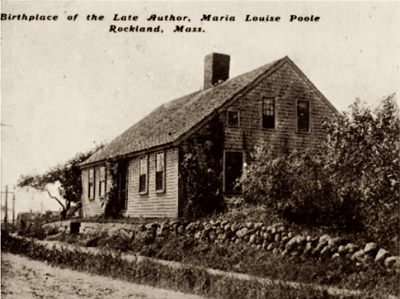 Later in 1902, she had gone to Rockland, Massachusetts to see Pool's house. Caught in a rainstorm, she had sheltered in the basement of a small house adjoining the property - unbeknownst to her, the residence of Pool's life-partner Caroline Branson. Branson, hearing someone downstairs when she returned, called the police, who clapped MacLane in jail for a night until Branson visited and the two women sorted it out. Though it is unknown what form their relationship took, MacLane and the significantly-older Branson lived and traveled together for the next six years. It would be MacLane's only known cohabitation; in letters home, filled with news about garden plantings and riding the electric trolley cars out to the beach, MacLane called Branson her friend - as, in a letter to Harriet Monroe, she called Branson's Pool's friend. MacLane lived in the small house Branson had inherited from Pool - the grand house next to it, which Pool and Branson had shared, was now owned by others - and was reported to be working on new writing of her own and completing novels Pool had left behind. Nothing of either project was published - MacLane is reported to have destroyed several books she finished in the 1900s - but she appeared to enjoy being far away from reporters and fans. Without fuel, the initial sensation had faded by late 1902, and by 1904 people were asking what had become of her. She resurfaced now and then, as with a brief series of feature articles commissioned by the Denver Post - her name still had cachet - but during this period she remained focused on a non-public life. 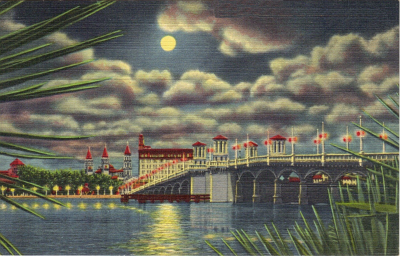 She began summering with Branson in St. Augustine, Florida and - in echoes of her attraction to tempts of the big city - discovered an attraction to and, like her father, a skill at gambling. She had made a fortune from her first book, and one lucky turn at a gambling table brought her 35-to-1 odds, but money was no longer endless. In mid-decade Stone & Co. had sold out to a new firm while owing her significant royalties, and some of her best writing ensued in letters chasing one of its principals, Melville Elijah Stone, Jr., for the funds personally. He laudably undertook to pay the corporate debt despite having no personal obligation, and for several years was chased, charmed, threatened, and flirted with by MacLane. They called it alimony, and he seems to have gamely paid her $25 and $50 when he could - usually after she had creatively detailed a crisis in rent or food. Her accounts of impoverishment to Stone make curious reading against her later accounts of discovering in those years a taste for hedonistic living, which played out in a strikingly female-only New York City lifestyle depicted with startling candor in her last great series of feature articles two years later. In 1908, for reasons unknown, Branson and MacLane parted ways. Her abrupt disappearance from Rockland made the papers, which speculated on MacLane's being financially embarrassed, but in interviews shortly thereafter she claimed she had simply moved to Boston. Moved by her appeals for money, Stone secured her a job on Hearst's New York Evening Journal. MacLane was gratified but skeptical at its working out; she moved to Manhattan, but Hearst's most powerful editor disliked her work and she left soon after. MacLane again pursued Stone for funds while her city life motivated her to begin a serious book-project - a set of character sketches of the extraordinary New York women she was meeting. 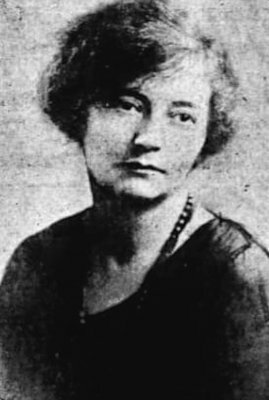 She contacted the Croesusian Butte mogul F. Augustus Heinze - then hamstrung by multiple indictments over his involvement in the Panic of 1907 - for a loan on anticipated royalties. He was apparently uninterested, but MacLane worked on the book and threw herself deeper into a hedonistic, lesbian-tinged Manhattan underworld that to this day is inadequately documented or understood. She worked at the book and caroused among her source material until her financial condition became so unsteady that her stepfather came to New York, convinced Stone to pay the remainder of her royalties, and took her back to where she had departed from on the wings of the book that sang out her hatred of the place: Butte. MacLane arrived at the end of 1909 and found the night view from the train of the town lights sparkling on the valley floor magical. She moved back in with her family and penned a feature article for one of Butte's leading papers on her return, updating the populace on her doings since 1902 and teasingly proclaiming her love for the place and the people, dramatically concluding "I am once again a citizen of Butte." On the day it appeared she was struck with a near-fatal case of scarlet fever with complicating diphtheria; the newspaper carrying her article and the update on her illness reported enormous numbers of phone calls to the home (so many that the line had to be disconnected) and endless well-wishing visitors, but that MacLane's prognosis was not at all good. Six weeks later, MacLane returned to a precarious health. As soon as she was able, she wrote a feature article describing her illness experience and thanking the people of Butte for the unexpected outpouring of sympathy and care. Her joy in surviving and returning to life is palpable, and this feature, written just before she turned twenty-nine, inaugurates her final feature article arc that would see some of her best writing. Her articles over the next two months - written, as she later recalled, on a hammock on the porch "in the role of a yellowed skeleton" - ranged from depictions of the men who had loved her to her only sustained reminiscence of her tomboy childhood to - in perhaps her most daring revelation, likely cannibalizing work from her New York book (never published, probably never completed) - two articles on the women she had loved. By 1906 she had become devoted to vaudeville and formed close friendships with such British musical hall stars as Marie Lloyd, her sister Alice, and Cecilia Loftus. Their influence is palpable in this final circuit of pieces, and explicit: "If only the citizens of Butte would regard me as vaudeville and read me, with a patter and kettle-drum chorus, only to be entertained! But no, the stuff comes out on Sunday and so they read it at breakfast and assuage their consciences for not going to church by knocking it and me." The result was a warmer, more human quality in which the ever-present proto-Surrealism glitters the better in a fuller (and contrasting) setting. After the features had run their course, MacLane returned for the most part to public silence. Her pieces had been syndicated nationally, and the agent responsible - Calvin Harris, never publicly mentioned by her - would play a significant role in her professional life for the next few years. With Harris a more strident note enters MacLane's persona: the announced pursuits - from reporting on prize fights for a national syndicate to an announced "problem play" to be put on in Chicago to traveling to war-slashed Europe as a volunteer nurse - bear a show-off tone dissonant to the tenor of MacLane's career. Despite an initial appearance at a bout in Thermopolis, Wyoming, none of these plans were ever realized, and one suspects conflict on Mary's part in participating. 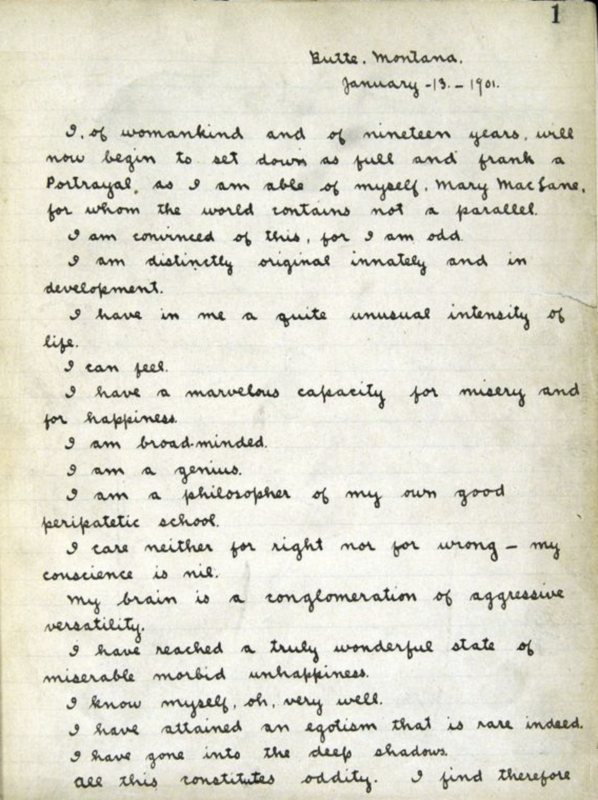 Around 1912, MacLane began - as far as is known, wholly apart from Harris' influence - work on her final and most self-revealing book: 1917's I, Mary MacLane: A Diary of Human Days. In I Await the Devil's Coming MacLane had pressed out upon the world - for all the complaints and hand-wringing - a martial, armored feminist persona, and in My Friend Annabel Lee she had put it in abeyance and been far more receptive. In her last book, MacLane tears off the armor and, as she writes, the epidermis, and in a series of prima facie separated songs of herself discloses, through a new hyper-modernist style, her inner doubts, fractures, and fear of disintegration in sometimes quivering intimacy. She appears to have worked at the book in snatches but with great intensity - her testifying in 1914 at the court trial of a roadhouse operator accused of running a bawdy house testifies that her tastes remained unchanged. When I, Mary MacLane was published in 1917, a few months after the country had entered World War I, it was to significant press attention, which almost uniformly spoke of her 1902 sensation as epochal but a thing of the past. Left largely alone was the issue of MacLane's actual intent: perhaps unavoidably, reporters insisted that in 1902 she had wanted and thought only of an uproar and in 1917 was just the same. The book's jacket and advertisements contained laudatory blurbs from MacLane's acquaintance Gertrude Atherton and from D.H. Lawrence's friend Witter Bynner and, though it inspired public notice and discussion, appears to have sold only respectably well and not to have been the comet the publisher had expected. In a letter to Harriet Monroe, who had penned a thoughtful criticism in Poetry Magazine, William Morrow - who would found a great eponymous publishing house nine years later - expressed surprise that it had not done better, commenting that he had not thought writing of such quality was still being done in the United States. As with I Await the Devil's Coming, MacLane took the completion of a book and swelling press attention as a prompt to leave Butte. She moved out at the very month that Butte's metals production crested and began relentlessly heading downward, and relocated to Chicago, where Harriet Monroe still lived and worked running Poetry Magazine. While getting settled there, she was approached by a prominent Chicago movie company - Essanay Studios, home to such stars as Charlie Chaplin, Gloria Swanson, and Wallace Beery - to make a film of her 1910 Butte article on men who had loved her. Within a few months, Men Who Have Made Love to Me was in production with well-known director Arthur Berthelet at the helm, company co-founder George K. Spoor as producer - and Mary MacLane as screenwriter, subject, narrator, and star. 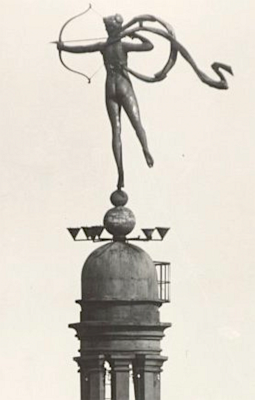 Though without acting experience, MacLane agreeably transformed herself into a screen vamp hungered for by the various male types under her counter-objectifying microscope - the Callow Youth, the Literary Man, the Younger Son, the Prize Fighter, the Bank Clerk, and finally that "most exasperating" - the Husband of Another. Her director praised her talent and spoke of MacLane's ability to triumph over any circumstance; her personality, he commented, reminded him of an actress he had known some years earlier: Sarah Bernhardt. The film showed nationally, was somewhat controversial (and banned in at least one area), created some of the usual press furor and perplexed criticism, and in time got all the way to the Southern Hemisphere to a rousing reception. 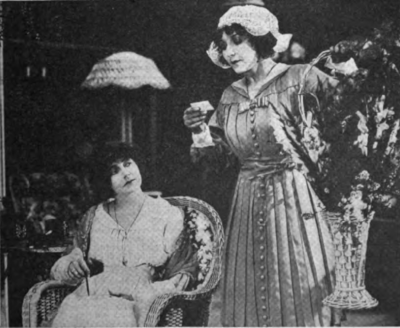 It was still on tour several years later in certain markets, but a cheeky, breezy 1918 feature article for Photoplay Magazine on her film-star adventure and prior movie fanhood would prove to be MacLane's final public work. The film was a repeat in essential ways of her first public performance. It broke barriers socially, thematically, and technically; it was heatedly discussed, attracted international attention - but the central point, and the profound unusualness of what MacLane was pulling off, was largely missed. She was born too early and was, at least half-knowing it, making art for a future audience. With this, MacLane's public career ended. She made national news a year later, in 1919, with an arrest in connection with gowns from the film that had never been returned to the modiste. The matter - which MacLane said was due to a misunderstanding - was settled without further legalities, and apart from an occasional letter to the editor MacLane was publicly heard from no more. She remained in touch with Harriet Monroe, who would later recall MacLane's failing health in the 1920s - she had never regained full vigor after her illness of 1910 - but evidence shows that MacLane found a home in Chicago among anarchists and progressive writers and other creatives who frequented Chicago's club scene. One reminiscence, likely from the early 1920s, portrays MacLane taking the stage at a Chicago club to read from "Men Who Have Made Love to Me" - having been introduced, without irony, as the most intelligent women in the United States. As the 1920s went on, the press began to ask - with increasingly sincere interest - where she had gone. When a fan asked, in the pages of H.L. Mencken's periodical The American Mercury in 1925, if she was still alive, she answered him two issues later. Yes, I am alive. I live in Chicago and like it. I am fond of the memory of my book of 1902, and any reference to it gives me a little thrill. I don't quite know what has become of me, but I believe I've changed remarkably little since I wrote that bit of revelation. I'm in these times more of a human being than a writer, but if I should feel again that I have something in me worth writing I'll doubtless write it. So voila. I have my thrill, and Lawrence J. Grant has his answer. And that's that. It was a fitting last bow. She did no more known work. She had moved to a hotel - respectable enough, but insensitively described by newspapers as "on the edge of Chicago's black-and-tan belt" - and spent much time with her long-time friend and likely lover, an African-American photographer named Lucille Williams, who had first met her on her whirl through Chicago in 1902. Her health failed through the late 1920s - though she managed a meal with Harriet Monroe and affectionately autographed Monroe's copy of I, Mary MacLane) - and in early August, 1929 there was a last blare of newspaper sensation about a once-famous writer found in a Chicago hotel room dead of tuberculosis. Some of the reporters' accounts hinted that she had committed suicide, claiming that she had laid out old newspaper clippings "for a last inspection." One wire service added the helpful detail of a bedside morphine syringe and a helpful doctor who would certify tuberculosis instead of suicide. Some reporters wrote of a scornful smile on her painted lips and that she had dressed in her finest. Perhaps it was true. Or perhaps the press was doing what it had done so often in the past. 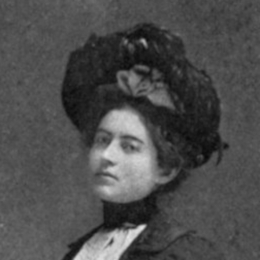 As MacLane had said to a group of newsmen who had, she said, nearly kidnapped her on her 1902 arrival in Chicago from Butte, "We are all out for the dough"! "And are the poems forgotten, also?" I inquired. "Yes, forgotten, except by a few. But when they remember them, they remember them long[,]" said Annabel Lee. "Then which is better, to be remembered, and remembered shortly, by the multitudes; or to be forgot by the multitudes and remembered long by the one or two?" "It is incomparably better to be remembered long by the one or two," said Annabel Lee. Join the Mary MacLane community on Facebook. Interact with other fans, get exclusive updates. Follow @fuguewriter for updated Mary MacLane content, announcements, interviews, and more. 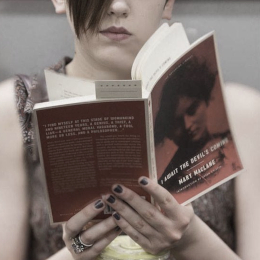 Add @fuguewriter for updated Mary MacLane content, announcements, interviews, and more. Add @fuguewriter for tumblr Mary-MacLane-related content, announcements, fan art, and more. Add @fuguewriter for Instagram Mary-MacLane-related content, announcements, fan photos, and more.